Social media marketing has changed dramatically over the past two years, especially over the last year. Marketing on Facebook has changed almost completely during that time. Prior to the last year, you could market your product or service on Facebook in a couple of different ways. For example, you could develop a personal profile for yourself, get lots of Facebook friends, then send out messages on your profile that marketed your business. This was effective especially for small businesses with a person at the helm who was an expert or opinion leader in their area. Or you could build a Facebook fan page, build up lots of fans, then put out regular marketing messages to those people. The idea with either of these approaches was to put out interesting material and build engagement with your group of friends or fans. Facebook didn’t really want people to market themselves with a personal profile, for reasons that will become apparent in a minute. I preferred this approach with my clients up until recently because it was much easier to get lots of Facebook friends on a personal profile, than to get thousands of “likes” for a fan page. But you could still market via a personal profile successfully up to the last year, and in some limited cases you can still do it today. Note that both of these approaches above were essentially free, i.e. you did not have to pay anything to Facebook. A couple of significant changes by Facebook have completely changed how you can market on the site. They created a new policy that you cannot propose being a Facebook friend to anyone unless you know them personally. To the degree that they can enforce this, it completely eliminates the possibility of using a personal profile to market on Facebook, unless you happen to already have thousands of friends (their limit is 5,000 friends for a personal profile). You may say “So what, Facebook doesn’t want you to use personal profiles to market anyway?” But patience little one, the plot thickens. With a fan page, whenever you posted something to the fan page, it would no longer go out to all of your fans, but only to around 20%. Facebook worked out an algorithm to decide which people would see it, based on who had been responding to your previous posts, i.e. liking the posts, commenting or sharing, etc. They justified this at the time by saying they wanted to make it easier for people by just putting up content in the news feed that they were interested in. Facebook also changed the way the news feed worked in relation to personal profiles. Now whenever you posted something from a profile, it would only be seen by around 20% of your friends, those who interact with you the most on Facebook. Once again this was justified as only giving people the content they are most interested in. So I think from the above you can see that these changes have dramatically altered what you can and can’t do on Facebook. Unless you already have thousands of friends on a Facebook personal profile, you won’t be able to build one up to that level. If you try to add lots of friends with people you don’t know personally, Facebook could find out and suspend your account for up to several weeks. If you already have thousands of friends on a personal profile, you can still market using that – theoretically. But the problem is that according to Facebook, now only 20% of your friends will see those posts. Facebook has now clearly pushed everyone over to using a fan page to market. But even here, you will now pay money every time you post something, in order to “boost” it so every one of your fans receives it. For several years Facebook has had a pay per click ad program, where you could set up ads to display in the right hand column, with a tiny picture and some text. I have used this program and it works well. But now when you go to set up a new pay per click ad campaign on Facebook, the default type of campaign is one that is designed just to get people to like your fan page. You may have seen these in the right hand column, showing a little picture and promoting a fan page with a “like” button. So now, from Facebook’s perspective, you will pay money to get people to like your fan page and then you will pay money to send them messages. You are probably thinking that I am pushing that we should all feel resentful and stop using Facebook. And yes these changes do rub me the wrong way because they are clearly money motivated and they haven’t seen completely honest about it. But no, I am proposing we all get over it and accept that Facebook marketing does cost money now and see it for what it is worth and use it if it makes sense for your businesses. I am not one of those Polyanna-ish types who think that everything on the Internet should be free, and I do understand that after the venture capital phase, every business does have to make money. So here is the program for marketing on Facebook today. Work to get lots of fans for the fan page. 100-200 are not enough to make it worth it to send out lots of messages. You need a minimum of say 500 and more likely, thousands. 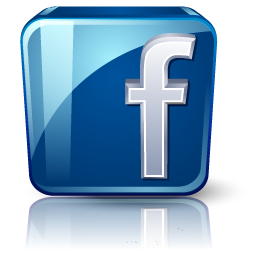 Set up a Facebook pay per click campaign to promote for people to “like” your page. Bear in mind when setting this up that you want to target people who are potential paying clients, not just anyone. One company for whom I manage Google AdWords, has a very successful Facebook fan page. They have run various promotions to get more likes. For instance, they have offered a giveaway, where in order to be in the running for the giveaway, you have a) like their fan page, and b) share the post about the giveaway on their news feed. Using the “boost” feature, you can offer some sort of giveaway like this, geared to getting more likes, and boost it even beyond all your fans. Set up “like us on Facebook” buttons throughout your web site. Study the Facebook fan pages of other successful businesses in your industry and make a list of the types of posts they are doing that make sense for your industry. Also note which ones are getting lots of engagement, i.e. likes and comments and shares. Figuring out what types of things to post is one of the hardest things, but if you find a couple other really good fan pages to study, it can make the process a lot easier. Start sending out messages at least 2-5 times per week. Work to get engagement from your fans. Note they post a lot of things, use a lot of pictures, and get a lot of engagement.